Tens of millions of children have no family. And that absolutely must change. 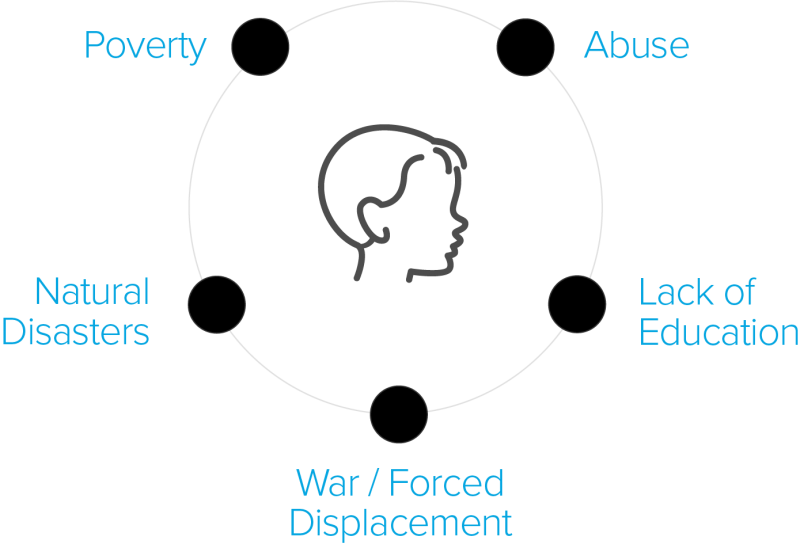 How is it there are vulnerable and abandoned children all over the world? Children benefit long-term when in the care of a protective and permanent family. When children live among family members who love and care for them, their lifespan increases dramatically. A healthier family environment quite literally allows the child’s body to develop properly. Healthy home, healthy body. For every 3 months a child is in an orphanage they lose one month of cognitive development. Repeating a grade is often the result of the absence of familial support outside of school hours. Families are often the catalyst for academic advancement–through encouragement and simple expectation setting. Graduation rates plummet when children lack family support. Criminal behavior is frequently the byproduct of an environment without role models and the stable provision of food and necessary human resources. Drug abuse is commonly attributed to instability and neglect at home. It’s an attractive form of escapism that serves as a cheap replacement for familial love. Teen pregnancies drop exponentially when nurturing parents are available to provide education regarding unprotected sexual activity. Earning potential increases when a child is raised in a home that fosters self-confidence and encourages the pursuit of higher education. What is Hopeland doing to make this a reality?